Why doesn't "Create Search Engine..." (in Context Menu) appear everywhere it should? Why doesn't "Create Search Engine..." (when you right-click on a search box) appear when it should? It does not appear in http://web.archive.org/. Why doesn't it appear in the former? It does appear for me (opera stable 46 on debian testing x64). It's available in the Search box in the corner, not where you indicated. Why not? Software should make it easy for humans. We humans shouldn't have to work around software. Ask them. 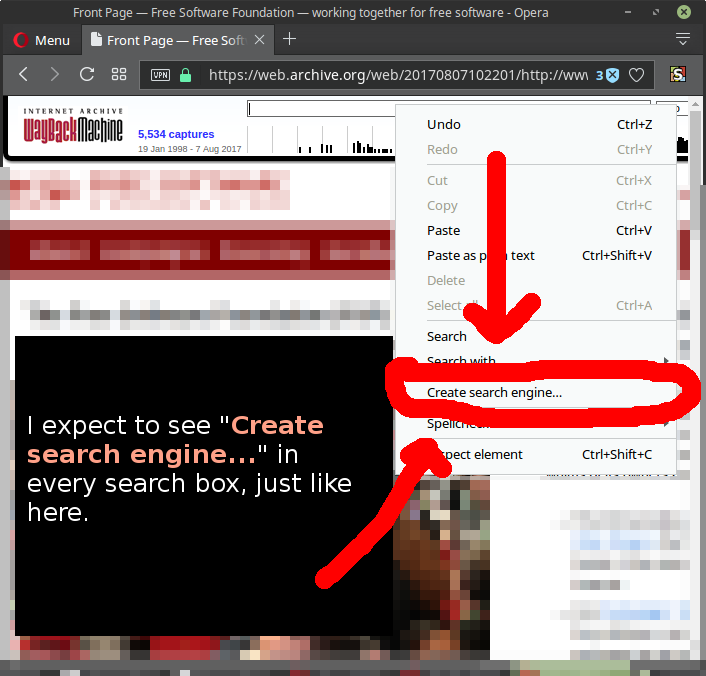 Opera can only look at the page and see if something looks like a search field. First two have the "Create Search Engine" option. The third doesn't. Yes, thats why I posted 3 screenshots. 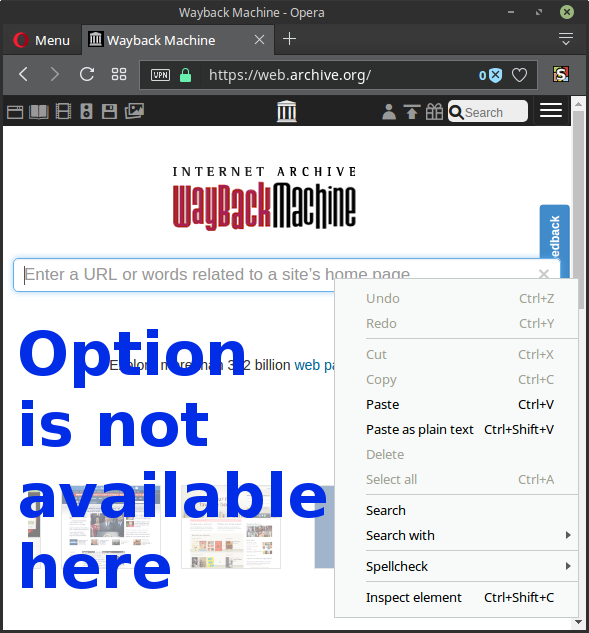 The search box on WEB.archive.org is the one that lacks the "create search engine" option, the other 2 have it as expected.